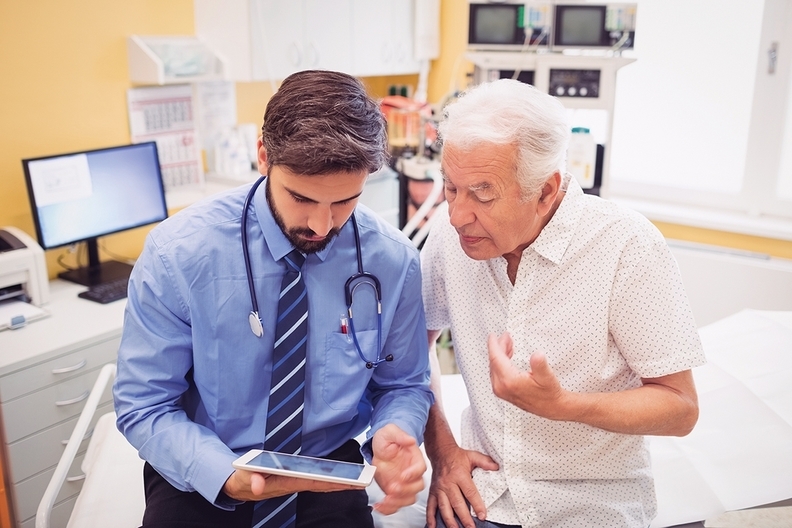 OhioHealth leaders needed a dramatically different approach to care for lower-income seniors with little access to quality primary-care providers. Too many patients with chronic diseases like diabetes and heart failure were coming into their system's emergency departments and hospitals. The not-for-profit system's leaders wanted a more proactive primary-care model that focused on keeping these patients healthier, even if that initially cut into hospital revenue. The idea was to use multidisciplinary primary-care teams that spent a lot of time with high-risk patients. These new practices would accept full financial risk under capitation contracts with plans serving Medicare Advantage patients as well as plans serving patients dually eligible for both Medicare and Medicaid. Going full risk would be new for OhioHealth, propelling it into the emerging era of value-based payment. Earlier this month, OhioHealth and Miami-based ChenMed, known for its intensive team-based primary-care models, announced they had signed a deal to open three senior primary-care clinics next fall in the Columbus area, serving 8,000 patients, with plans to open more sites serving up to 20,000 patients in the future. The two organization will split the first-year investment of more than $60 million, along with the potential profits, with a possible future investment reaching $200 million. It's the first known partnership between a health system and one of the growing number of for-profit primary-care specialty companies, and there likely will be more to come. Many system leaders know they need to transform their primary-care models to produce better health outcomes and earn patient and physician satisfaction. But they often blanch at the challenge of shifting from fee-for-service payment to a new business model. Only a few systems, such as Bellin Health in Wisconsin, have gone all the way in adopting a population health-style primary-care model. "It may be that hospitals won't reach for more intensive primary-care models until they either are under greater margin pressure or they decide they want to go all in for accountability on population health," Dr. Arnold Milstein, director of the Stanford Medicine Clinical Excellence Research Center, said in October. OhioHealth knows it's going to take an initial financial hit, because ChenMed, which will run the clinics using OhioHealth-employed physicians, has a track record of reducing hospital admissions by 50% compared with a standard primary-care practice. The system projects profitability by the second or third year. "It's going to be pretty significant in how this affects our ED and hospital use," said Michael Krouse, OhioHealth's senior vice president and chief strategy officer. "But full-risk arrangements present a significant business opportunity if you succeed in making people healthier." Dr. Gaurov Dayal, ChenMed's president of new markets, said he was skeptical when OhioHealth first approached his company. "But after we met them, we realized they were truly committed to getting on a path to value-based care," he said. "I give them a lot of credit for taking a somewhat disruptive move by cannibalizing their hospital volume." In the new Columbus-area clinics, the primary-care physicians and their teams will serve about 400 patients each, about one-sixth the national average, and spend an average of 208 minutes per year face-to-face with each patient, about 10 times the national average, OhioHealth and ChenMed say. As at ChenMed's nearly 50 clinics in seven other states, the new clinics will offer patients no-charge transportation to visits, and will see them on a walk-in basis as well as through appointments. The one-stop-shop services will include cardiology, podiatry, prescription drug dispensing, imaging, lab, acupuncture and healthy lifestyle classes. Patients will receive their doctor's cellphone number. The hope will be to persuade more seniors to enroll in Medicare Advantage and dual-eligible plans to take advantage of the new clinics' services. Krouse said it shouldn't be a hard sell. "You mean I get to see my doctor 18 times a year, spend as much time as I need, visit a clinic close to where I live and receive transportation to and from the office?" he said, predicting patients' likely reaction. "It's a very significant contrast to taking the bus to see your doctor once every six months." The reactions of OhioHealth's physicians to the new collaboration with ChenMed have been mixed, ranging from a desire to work in the new clinics to worry about how it will affect their Medicare fee-for-service practice. "They understand we are doing this to accelerate our ability to care for high-cost, complex patients in the most appropriate settings," Krouse said. "Everyone's on board with the mission. The devil is in the details." Since the deal was announced, Dayal said he's been surprised by how many health systems have contacted ChenMed to inquire about doing similar partnerships. That shows hospitals see the future but are struggling with how to make the transition from fee-for-service to value-based care, which involves very different skill sets, business models and attitudes. Many may need to partner, he predicts. "Hospitals are specialists in fee-for-service medicine; we're specialists in value-based care. We view this partnership as a great enablement tool to make that progression."